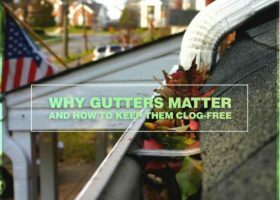 Gutters and downspouts play vital roles in keeping your property beautiful and structurally sound. When they become clogged, water will overflow and damage your home’s foundation over time. A leaky gutter system can also accelerate wood deterioration, causing your fascia boards and windows to succumb to rot. Clogged gutters and downspouts can ruin your landscaping with runoff and increase the chances of ice damming. As a GAF Master Elite® roofer, Pritchett Bros is the authority on GAF’s premium shingle selection. 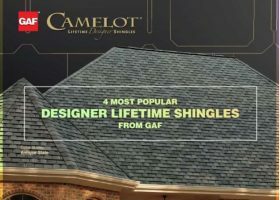 We offer the Designer Lifetime Shingles from North America’s leading roofing brand to meet your exacting performance and aesthetic needs.